Mr. Robert Zimmermann is a partner of the firm and head of the administrative and public law department. Mr. Robert Zimmermann is a counsel of the firm and head of the administrative and public law department. He has more than 30 years of experience in all areas of administrative law, including international judicial cooperation in criminal and administrative matters. 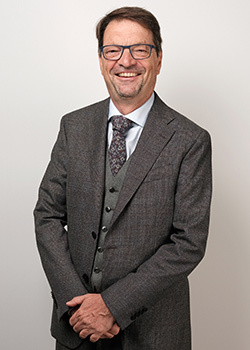 Before joining our firm, Mr. Zimmermann served as a judge at the Administrative and Public Law Court of the Cantonal Court of the Canton of Vaud for more than twelve years and thus enjoys considerable experience in public law. Doctor of Laws (Dr. iur) of the University of Geneva, he previously worked as a court clerk at the Federal Supreme Court for more than fifteen years in the First Public Law Court of the Federal Supreme Court. As a clerk and then as a judge, he was active in various areas of administrative law, such as construction and planning law, environmental law, rural land law and land improvements, tax law, public procurement law, general administrative law litigation, immigration law as well as road traffic law. He is the author of more than 25 publications in various fields of public law and international judicial cooperation in criminal matters. He also published the reference book “International Judicial Cooperation in Criminal Matters” in 1999, (Stämpfli, Bern). The fourth edition was published in 2014 and a fifth edition of his book is planned for 2019. He has also participated in numerous conferences, seminars and training courses as a speaker. Mr. Robert Zimmermann is not member of the bar. Mr. Robert Zimmermann can advise you in French, German and English and has a sound knowledge of Italian. Association for the protection of the Leman Lake (ASL), Environmental law association (ADE), Swisscycling.